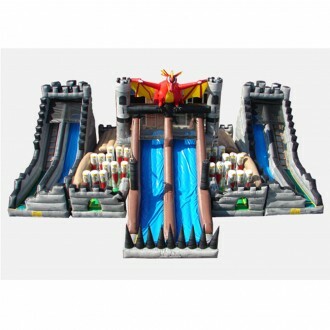 Along with The Pirate's Revenge, The Dragon's Quest is one of the largest units in The X Line. 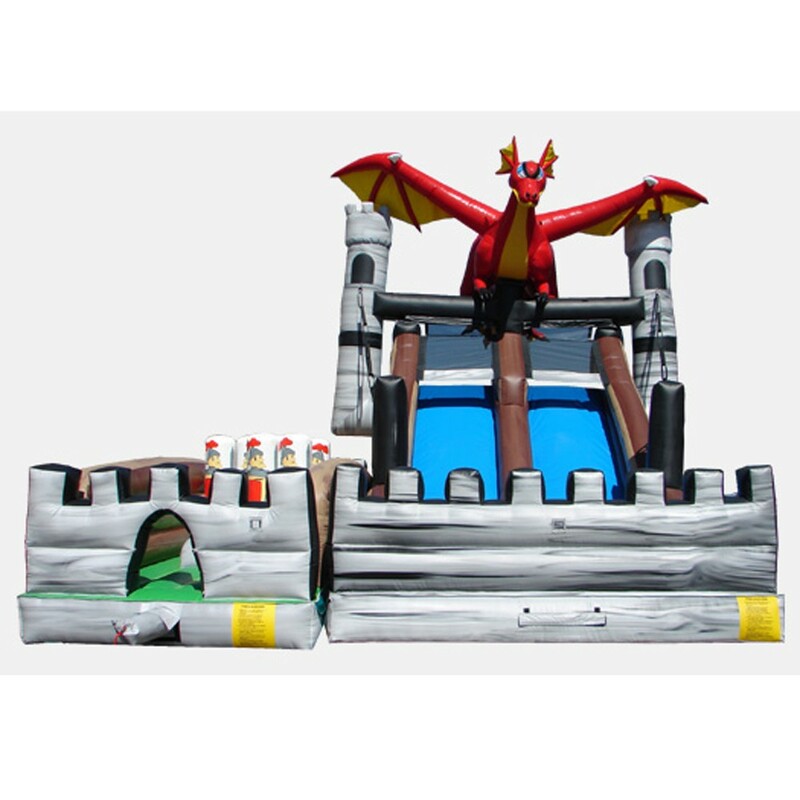 This commercial combo unit is made up of FIVE inflatables! 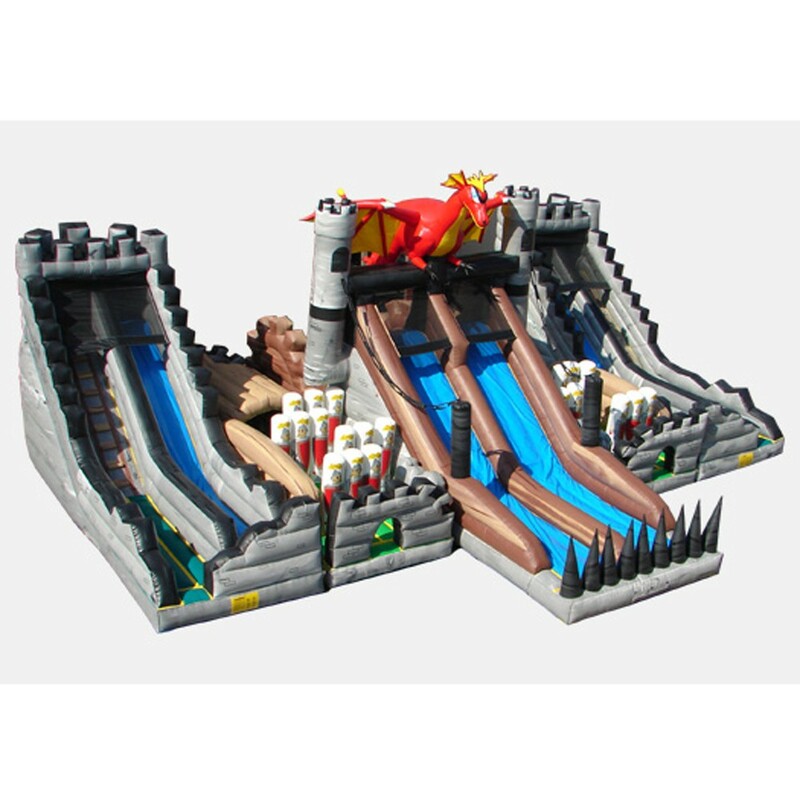 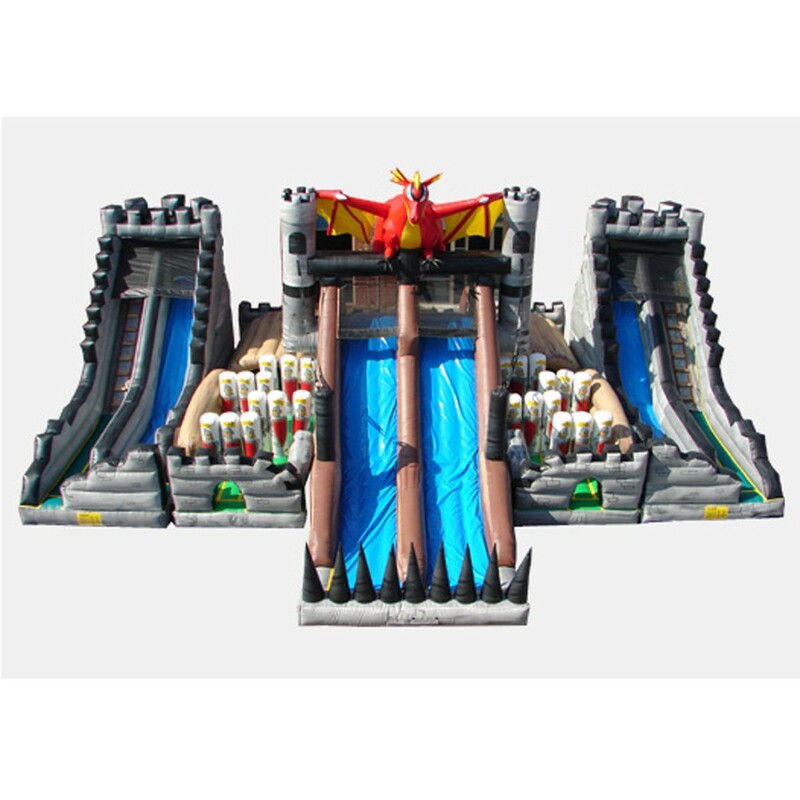 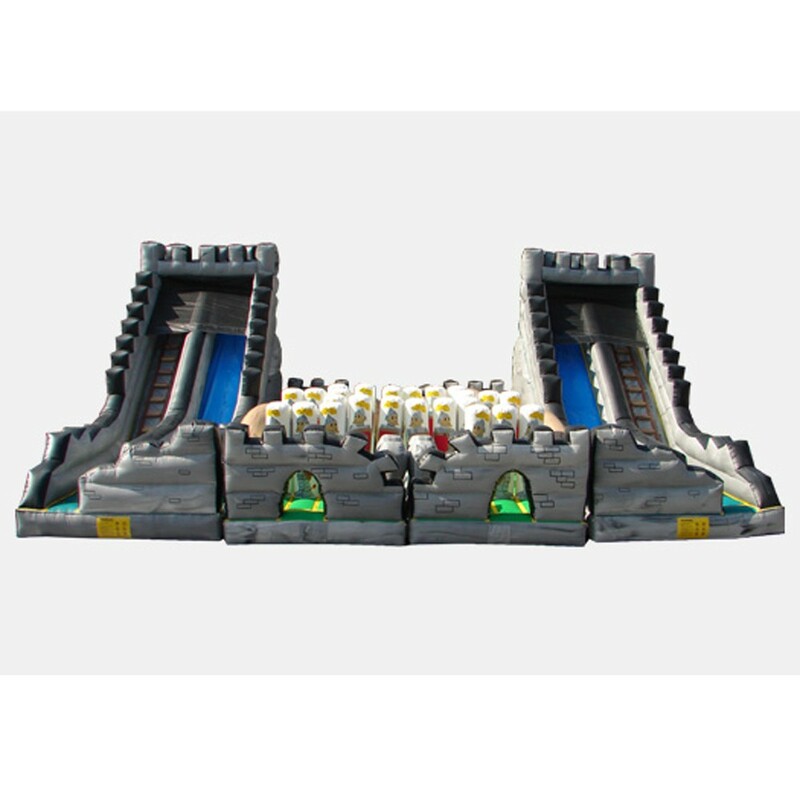 This giant commercial inflatable is made up of The Dragon's Slide, two Barracks Obstacle inflatables, and two Tower Slides! 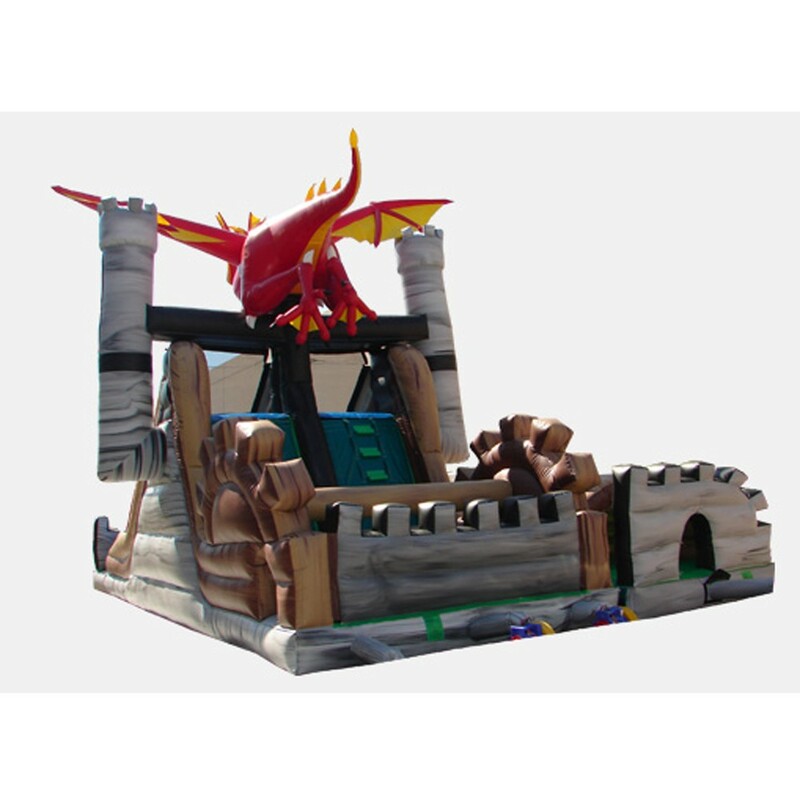 The kids will have a blast pretending to be knights risking their lives to sleigh the dragon and win an honor, or maybe even take over the kingdom, in this combo unit! 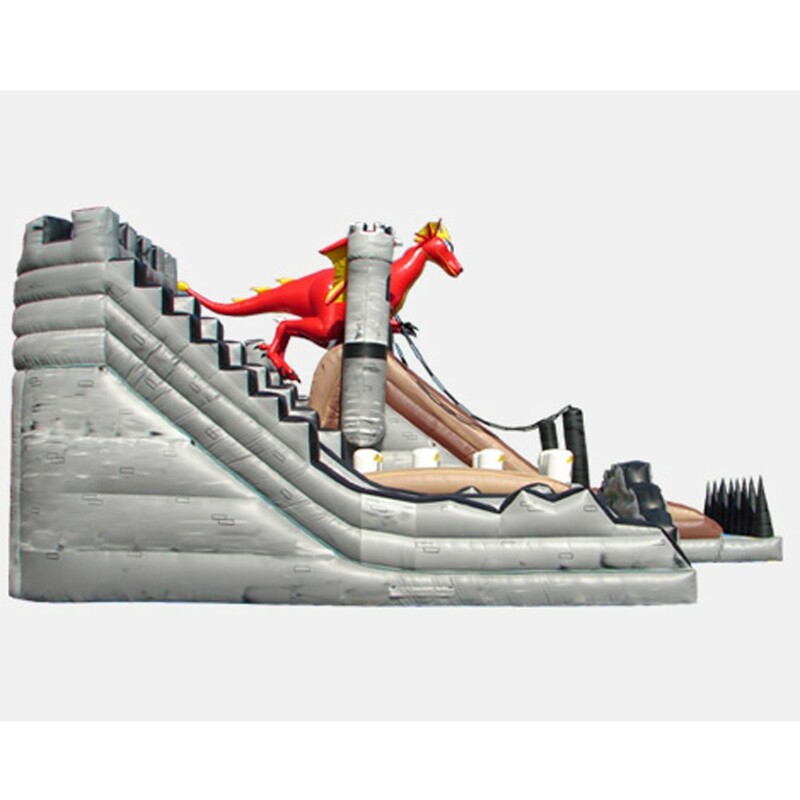 This combo will transport the kids to another world! 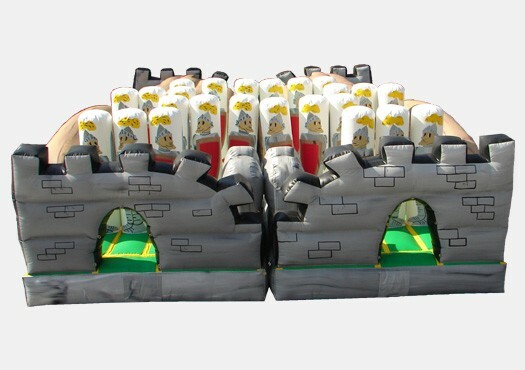 Manufactured with a high quality 18 oz PVC these inflatables were not made just to enjoy, but also made to last!